Author: Elder, Alexander Set In . . . The beauty and grandeur of New Zealand has captured the imagination of movie-goers over the past couple of years, and the country is a dream destination for many around the world. 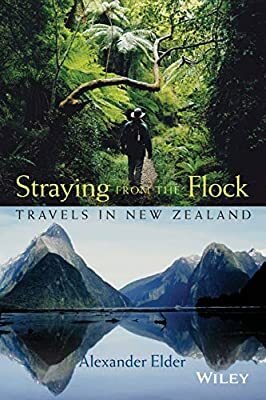 Straying from the Flock is an intimate and personal account of one passionate traveler's visit to this incredible country, its mountains and beaches, fjords, rainforests, vineyards, and hidden eateries. Each of the fifty chapters describes one day in his travels-fishing, flying, cattle herding, befriending locals at every turn. Filled with colorful stories and memorable personalities, the book not only describes the trip of a lifetime, but captures a life-altering experience for its writer. From mountains and rainforests to cities and beaches, Straying from the Flock is both a moving memoir and personal travel guide to this amazing country.